Hey everyone! Right now I'm at the seafood restaurant with Judi, Jo and Ju waiting for dinner after a long, exhausting albeit very good day having lunch and visiting the Gardens By The Bay. This is just an abbreviated blog post as I'm experimenting with a blog app on my phone; I'll write in greater detail later (hopefully!). Anyhoo, Judi and I slept in til noon after hanging out last night at Vivocity for dinner and drinks. Then we had lunch at the food court at Marina Bay Sands before walking to the Gardens, a pretty awesome touristy place that's... well, filled with plants, arf. 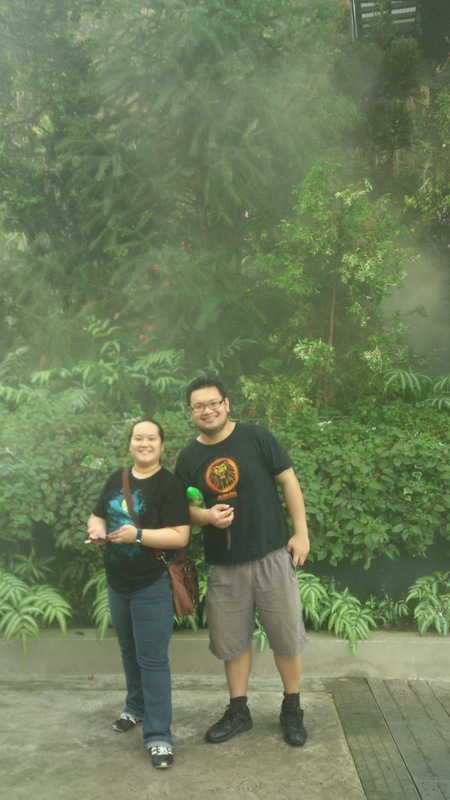 A key attraction was the Cloud Forest, a multi level conservatory with the world's highest manmade waterfall. Really cool, quite literally!! Then we cabbed it over to this restaurant and here we are! Anyway, I'll come back to blog further in due course. 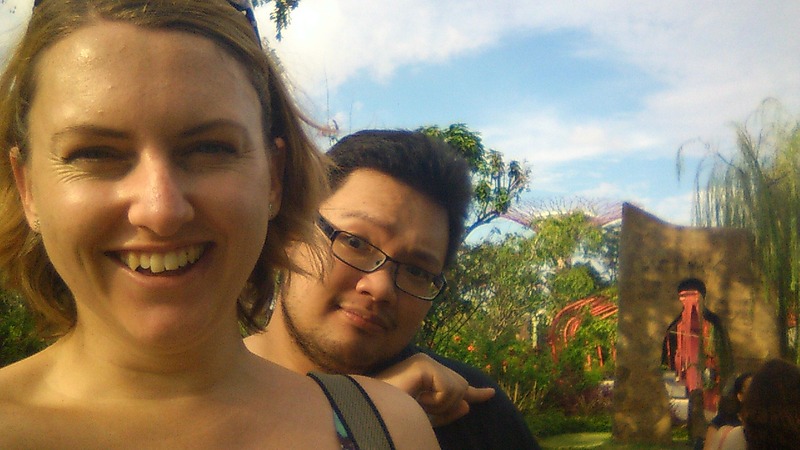 Til then, I leave you with some pics of us at the Gardens. Enjoy!